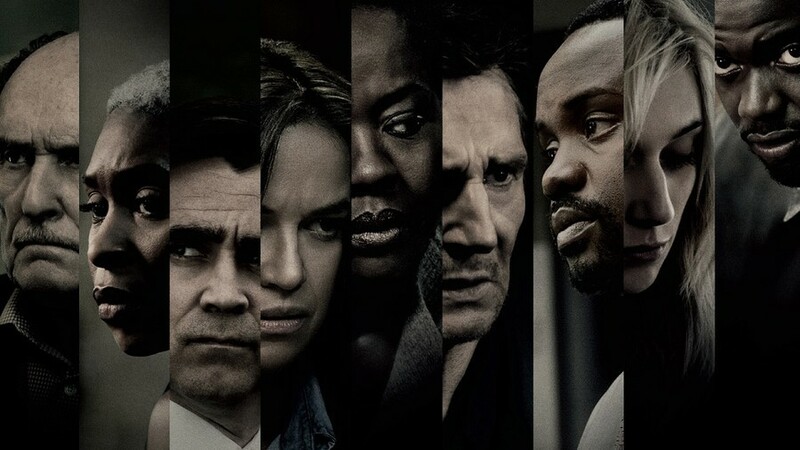 The Gritty Political Battle of "Widows"
Created by director of "12 Years a Slave" Steve McQueen and "Gone Girl" author Gillian Flynn, "Widows" features Viola Davis and Liam Neeson among its protagonists. It is easy to forget why so much film discussion revolves around technique. People often discuss Andrei Tarkovsky’s long takes, Yasujirō Ozu’s unconventional composition, or Jean-Luc Godard’s jump cuts as if they themselves were the point. It’s as if the reason we keep searching for new cinematic languages was for novelty’s sake. But this is not how spectatorship works: Millions of people do not go to the movies every week, armed with stopwatches and notebooks, on the prowl for innovations in film style. The significance of such techniques is instead in the effect they have on us. This precept is unfortunately easy to forget and, ironically, most often out of sight to those of us who spend the most time in the cinema. Form for form’s sake not only alienates those who have no patience for such technicalities, but also distracts from truths of our own experience. Every so often, I see a movie that is so carefully constructed, conceived with such clarity of vision, that I am reminded of why any of this matters at all. Widows was such an experience. Director Steve McQueen, who won the Academy Award for Best Picture for 12 Years a Slave, brings to the screen a brilliant story cowritten with Gillian Flynn, author of Gone Girl. That is to say that Widows is intelligent, but not in a heady, desperate-to-be-clever Nolan-esque way. Its success is instead marked by sheer competence. The elaborate plot follows a diverse set of characters, involves itself in their struggles, and resolves every one throughout the course of the film. Though unremittingly violent, Widows begins in a moment of tranquility: in the bed of Veronica (Viola Davis) and Harry Rawlings (Liam Neeson) as they kiss passionately in the bright morning light. Unusually, both actors are over 50, but McQueen keeps the camera close, emphasizing the “imperfections” that come with age. In this way, one could say the film is “gritty,” not just in its darkness, but also in the attention it pays to such uncomfortable details—wrinkles, gray hair, imperfect skin—that would normally be glossed over for the screen. Their peace is shattered by rapid intercutting between the couple and the desperation and chaos of Harry’s last heist. The conflagration that kills him and his team also destroys the money they had just snatched from Jamal Manning (Brian Tyree Henry), kingpin-turned–aldermanic candidate for Chicago’s 18th Ward. The white, decades-long incumbent of this majority-Black district is retiring, and Jamal is locked in a tight race against the incumbent’s son, Jack Mulligan (Colin Farrell). Like every aspect of this film, the contest between the two is not all black and white. The Mulligan family is unceasingly corrupt—the cantankerous, racist father as much as the son, who oversaw the fraudulent extension of the Green Line through their ward. While Jamal is not so tainted, he makes it clear to his brother and enforcer Jatemme (Daniel Kaluuya) that he is only running to receive the bribes and kickbacks that the Mulligans have for so long enjoyed. The high stakes for his campaign mean that Jamal needs his millions back soon and, unfortunately for Veronica, he expects to collect her husband’s debt from her. Armed with a notebook her husband left behind which details a heist that would net her more than enough to repay her debts, Veronica reaches out to the widows of the team that perished with him (Michelle Rodriguez and Elizabeth Debicki). Together, they struggle to disentangle themselves from the underworld in which their husbands abandoned them. The movie’s welcome complexity is reflective of the reality it depicts; while the plot itself is resolved with panache, the underlying forces that created it defy such solutions. These political aspirations separate Widows from most of its genre—rarely is a thriller made so socially conscious. And even more rarely is one with such pretensions executed with this director’s bravura. Widows is, after all, an exercise in McQueen’s anxious style, but more importance is placed on the anxiety than the style.